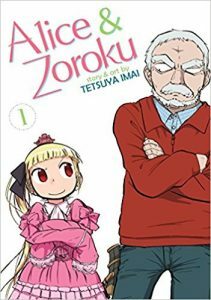 * Sean Gaffney on Alice & Zoroku Vol. 1. * good to hear my one-time freelance client and tremendous comics ally The Stranger is moving to bi-weekly with open eyes and a full wallet. I'm happy for them. * Philippe Leblanc on Joyride. * Alex Hoffman talks to L Nichols and Kevin Czap. Tom Fitzsimons profiles Sharon Murdoch. * go, look: everyone's pal Oliver East made a very Oliver East looking comic for an arts festival promotion. * finally: helpful advice from Spike Trotman.